There’s a moment in the Marvel Luke Cage on Netflix where a minor character among his fellow criminals is trying to convince the lead antagonist and others that there is a more humane, more intelligent way to approach things. His points are dismissed, and he is brushed aside, murdered in fact, as a form of comic relief. What struck me about the scene, though, was that the basis for the character’s thoughtful observations was linked to his readings of a book about hip hop. Reading about the histories and politics of rap led a usually unintelligent character to drop knowledge or raise consciousness. In my class on hip hop this semester, we're looking over a couple dozen books on rap from my personal collection. We have a large body of books and articles on the subject. We have hip hop special collections at Harvard, Cornell, and other institutions. There are always courses on rap music, and we've been witnessing scholars organizing conferences on hip hop for some time now. 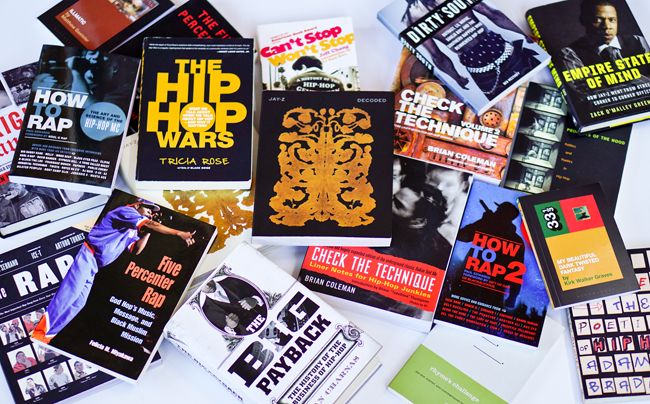 In many respects, hip hop studies has been one of the most vibrant growing sub-fields of African American studies, broadly defined, to emerge over the last two decades.